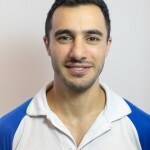 Ken is a highly experienced and successful physiotherapist who is well known in the community for the high quality and thoroughness of his consultations. He has a Graduate Certificate in Sports Physiotherapy. Ken has also taken up a Golf Screening course in Japan and is now accredited through the Titleist Performance Institute. He is passionate about teaching Pilates and helping his students to strengthen their bodies and avoid chronic back/neck pain. Ken grew up playing Rugby Union, Oztag and athletics so he is no stranger to the perils of sports and believes that it is his love of the sport and his collection of personal injuries that have helped him to better empathize with his patients. Ken has delivered Physiotherapy services to a variety of sporting teams including APIA Leichhardt Tigers (in the NSW Premier League), Spirit FC (Super League), West Ryde Rovers FC, Epping Rams Rugby Club, Old Ignatians Rugby Club, and Balmain Dockers AFL. He has worked closely with many elite athletes in conjunction with NSWIS and Athletics Australia.